On Wall Street, financial investors speak of CEOs improving their companies’ “top line” by increasing sales volume or their “bottom line” by reducing their expenses to expand the margins from their current sales volume. For Internet companies a similar “top line – bottom line” approach should be taken by business owners determining where to direct their improvement efforts. An Internet business improves their “top line” by increasing the number of unique visitors to their website or their “bottom line” by increasing their “visitor-to-sale” or “visitor-to-lead” conversion rates. After an online business establishes their performance metrics, it is able to predict with confidence the expected results from their visitor traffic. For example, a business’ performance metrics may show that for every 1,000 visitors received, 15 sales are completed – a sales conversion rate of 1.5%. With this understanding, the business can increase its “top line” growth by driving more visitors to its website. For example, if the business invests money in traffic generation efforts to increase their visitor traffic from 1,000 to 10,000, 150 sales will be achieved from the 1.5% sales conversion rate – a ten times growth rate. What are “traffic generation efforts”? In brief, traffic generation efforts are ways a business attracts visitors to their website. They may include online efforts such as search engine optimization, pay-per-click search engines, affiliate marketing, email campaigns, and media or offline ones like direct mail, television, radio, and public relations. On the other hand, the business may decide to spend their money on improving their “bottom line” by concentrating efforts on website conversion strategies. For example, if the above business invests money in website conversion strategies to increase their sales conversion rate from 1.5% to 2%, then for the same 1,000 visitors, sales will increase from 15 to 20 – a 25% increase. So what are website conversion strategies? Website conversion strategies are website design changes that connect with your visitor’s wants and persuades them to take action to achieve your goals as well as theirs. There are endless strategies to increase your bottom line although some have greater significance than others. Depending on your type of online business, different strategies may achieve greater results for your website and offer greater relevancy for your visitors. If you manage a consumer or business product website than website conversion strategies that focus on reducing shopping cart abandonment may provide the greatest conversion improvement. While a service business’ lead generation website will find improvement from website conversion strategies focused on “contact us” form completion. •	Website’s sales copy including writing headlines and sub-heads with stronger visitor appeal, defining stronger calls-to-action, using more visitor-relevant and benefit-oriented words and positioning popular visitor keywords in prominent areas connect with visitors and persuade action. •	Graphics and layout design to generate visual relevancy and message consistency for your visitors. •	Guarantees, returns, shipping, privacy, customer support and security policies you present to gain confidence and trust from your visitors. •	Navigational structures to make it easier and more convenient for your visitors to locate the products and services they desire to purchase. •	Buying or contact options to increase the ways in which a visitor can purchase or receive contact from you including alternatives to a shopping cart or online form like phone, mail, fax, online chat, and email. Your decision to pursue “top-line” or “bottom-line” improvements should be evaluated by (1) the objectives you plan to achieve, (2) the amount of money you have to spend, (3) the time-line established to meet your goals, (4) the amount of visitor traffic your website currently receives and (5) the conversion rate your website currently achieves for your calls-to-action. Establishing a plan before you make any decisions is critical. As the old joke goes, “I’m making progress climbing the ladder of success–I just don’t know if it’s leaning against the right wall.” The plan should include measurable goals based on your current performance metrics. Knowing your budget is essential in the selection process. Why, because certain conversion enhancement strategies can be implemented for a small investment of your time and effort. While traffic generation efforts may require greater investments of time, effort or both. Figuring your budget enables you to also forecast the potential return you may receive from improving your top-line versus your bottom-line. Obviously the areas that provide the biggest bang for your buck are the ones to start one first. Understanding your time-line is also essential since many conversion enhancement strategies will offer quick improvement to your conversion rates while traffic generation efforts like search engine optimization have long lag times before delivering ample visitor traffic. Identifying your current visitor traffic volume and conversion rates, especially for new Internet businesses, is also very important when determining top-line or bottom-line improvement. If you currently have low visitor traffic then you will have difficulty in determining if a conversion enhancement strategy had a real effect on improving your conversion rates. For example, if your website receives 100 visitors a month it will take you at least a month or two before any real measurable changes occur to your conversion rates. 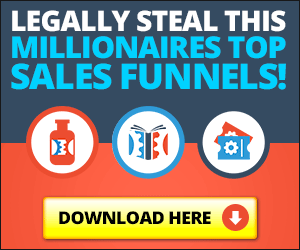 In this case, you would be better off focusing on top-line (traffic generation efforts) first and then returning to bottom-line improvements for increasing your conversion rates. Likewise, if your website currently has strong visitor traffic, like 15,000 visitors per month yet your current conversion rate produces only 5 sales then obviously you need to improve your bottom-line and focus on conversion enhancement strategies. Take time to review your “top line” versus “bottom line” opportunities and to decide which one offers you the best return for your dollars spent. If you concentrate on improving one of the two areas over the next month you can be confident that measurable sales growth is achievable for your Internet business. Spam – What’s The Best Online Traffic Generation Method?